An improved final half hour saw Walsall secure a point against Coventry City on Saturday. The Saddlers fell behind to a first half goal from Andy Rose and could have conceded more, but Erhun Oztumer earned his side a point with his late equalizer. The Turk did not have his usual influence in the first half, as Walsall started slowly. They had a lot of possession but much of it was pedestrian play, often between their centre-backs. It was Coventry who attacked with more intent. Ruben Lameiras looked dangerous cutting in from the right, curling wide on 15 minutes under little pressure from a timid Scott Laird. Midfielder Adam Chambers was one of the few willing to put a challenge in, but he did not offer so much in possession. 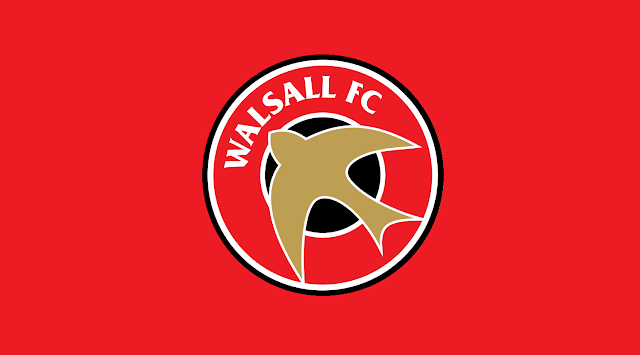 Right-back Jason McCarthy was arguably Walsall’s most creative first half player, his surging run setting up Andreas Makris, who fired wide from close range. Otherwise, the Saddlers were not playing to the strengths of Makris or Oztumer. High balls forcing them to attempt to win aerial balls despite being 5’7″ and 5’3″ respectively, Jordans Turnbull and Willis rarely fretting at centre-back. Coventry midfielder Rose was playing his first game in 10 weeks after a knee injury and marked his return with a goal, slotting home from close-range after Marvin Sordell’s dinked cross. Walsall tried to play at a higher tempo after conceding, but they pushed too many players past the half-way line. This exposed James O’Connor and Kevin Toner against Daniel Agyei, who caused problems with his pace and power. The fact Coventry didn’t add a second was down to a combination of poor shooting, good saves from Neil Etheridge and a penalty appeal that was waved away. Gael Bigirimana went down under a challenge from the goalkeeper but the midfielder was booked for simulation. Coventry started the second half well, Agyei denied by Etheridge on 58 minutes. Whenever Walsall had a chance to attack, they passed it sideways, stifling the momentum of their own play. That changed though when Simeon Jackson replaced Makris, providing a stronger work rate and more of a physical presence. Jackson’s work forced Turnbull and Willis to retreat and that created more space for Oztumer, who looked more like his usual creative self in the final half hour. Venus added pace in forward Andre Wright and winger Jodi Jones. Both players needed more support from central midfielders such as Gael Bigirimana and Ben Stevenson, who dropped too deep in the latter stages. This invited pressure and after some good combination play between Jackson and Kieron Morris, Oztumer hit a shot into the bottom corner to draw Walsall level. Substitute Liam Kinsella could have won it for the hosts late on, but a draw was what they deserved for their improved final half hour. A point is a respectable result for Coventry, who now climb out of the relegation zone thanks to an upturn in form under Mark Venus. Visit theFootbalLab.co.uk where Gabriel Sutton aims to provide regular insight, opinion and in-depth analysis on every club in the top four leagues of English football.